Engineering and designing commercial telecommunications towers, radio systems, cell sites, fiber optics transmission systems. Accurate documentation of your fiber plant is important if you value your asset. Locating fiber cables and closures, and quick maintenance response is critical and is exceptionally proficient when you have current drawings showing where and what you have. 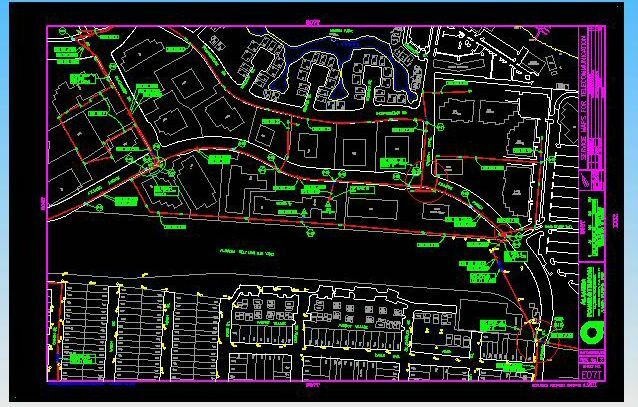 SCCI's specialty system documentation; we use AutoCAD® and AutoCAD Map for GIS applications. Depicted are samples of work we have produced for a client. 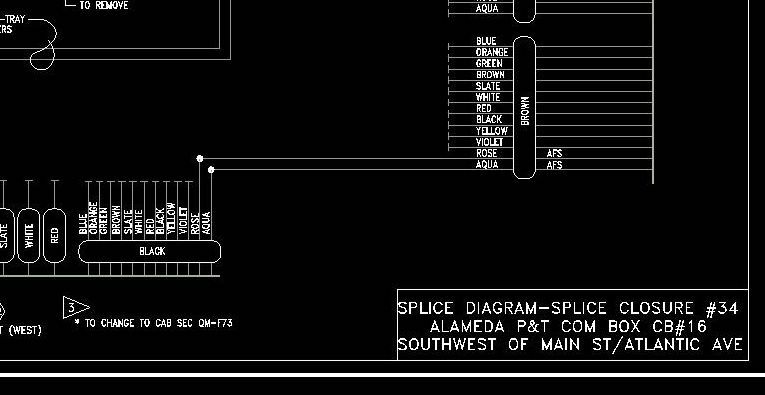 The first two cad drawings are a Service Map drawn at 100 to 1 scale with close-ups; the map shows the location of the fibers, each manhole, riser, and splice location and has a set of symbols representing the various OSP hardware configurations. The second two prints are of a Fiber-optic Splice Drawing with close-ups; it shows the color-to-color fusion splice of each connection inside a multi-cable closure. The last drawing is SCCI's version of the Circuit Layout Record (CLR); SCCI has created a unique way to depict an active optical circuit and show all the crucial components for rapid troubleshooting and engineering changes and additions. 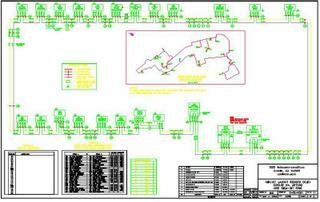 Click on the pictures for jpg views or Internet Explorer 5.5 or higher Interactive Service Map eDrawing and Fiber Optic eDrawing Interactive online cad eDrawing files can be used for zooming, panning, printing, and sending in an email. If your company is behind in technology and documentation, has no plant records, or is planning a new system, give SCCI a call. We have the engineering and design expertise to document your plant accurately and correctly. Founded in 1989, SCCI is a full-time engineering and design services business for the commercial telecommunications industry. Involved in the development and installation of 1-GHz fiber rings, city wide HFC (Hybrid Fiber-Coax) & MAN (Municipal Area Networks), CATV and Internet distribution systems, project management, implementation of coaxial overbuilds for broadband within Multiple Dwelling Units (MDUs), installation contractors for Alameda Power & Telecom, CellularOne, and others. 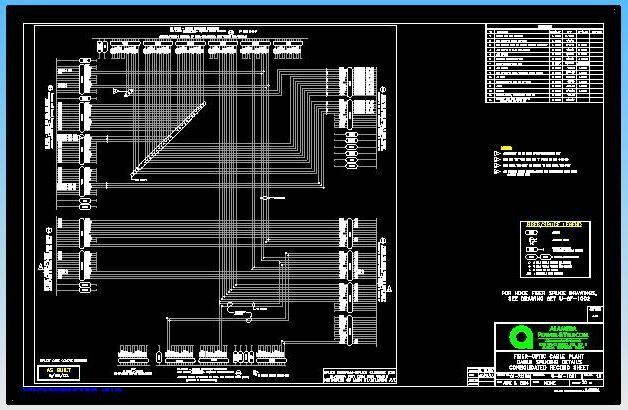 SCCI has fiber-optic SCADA systems experience using self-healing ring topology to command & control substations and power distribution equipment. Other areas include: communications towers engineering, construction management, & developement of combination single/multimode fiber-optic systems. Copyright © 2009 SCCI All rights reserved.